Other Ingredients: Soybean Oil, Gelatin, Vegetable Glycerin, Corn Oil, Yellow Beeswax, Soy Lecithin. Contains: Soy. Beta-Carotene Provitamin A 25,000 IU is rated 5.0 out of 5 by 4. Rated 5 out of 5 by Anonymous from Wonderful service This is the only place in my area that I can find Beta-Carotene and for that I thank you. Rated 5 out of 5 by wakeupcall from Great Quality I have been searching for a great quality product to help support my nutritional needs. 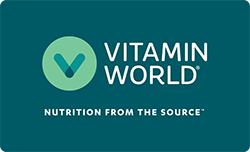 Thank you Vitamin World for your commitment to quality and health!